The Japanese at Honda are well aware of the life many of their imports lead in the U.S. and so they took SEMA seriously. Besides offering quite a lot of customized versions of the 2011 Honda CR-Z they also launched a very special version of the hybrid hatchback. 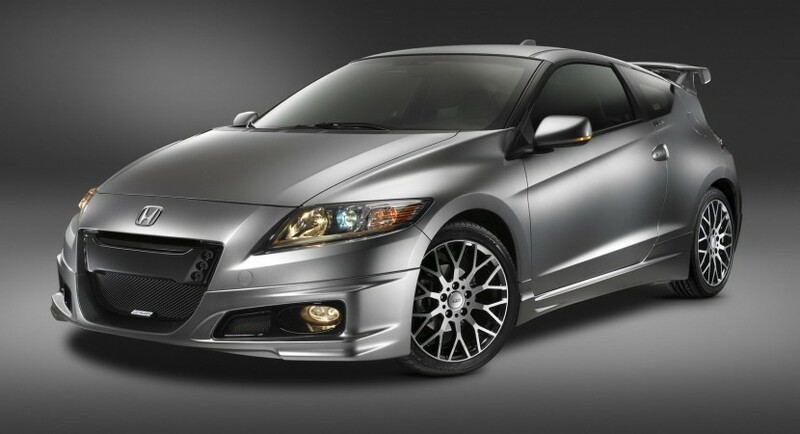 Meet the 2011 Honda CR-Z Mugen limited edition. 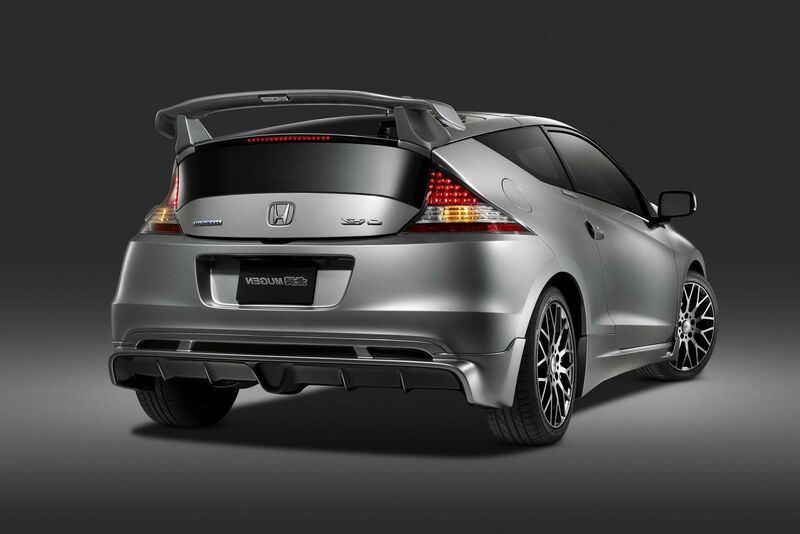 The limited part of the title is related to the fact that the 2011 Honda CR-Z Mugen kit will only be produced in 300 units. The pricing of this tuning kit is yet to be announced but it does offer you the best the specialist Honda tuner has to offer for the Honda CR-Z. The Mugen kit comes with a completely new body kit, a different front grille and that darling of the tuning scene, a spoiler. Other changes the you can have on your 2011 Honda CR-Z include stuff like a set of 17-inch “XJ” aluminum wheels and the usual trinkets one can the fit to the interior of their teen age hatchback. 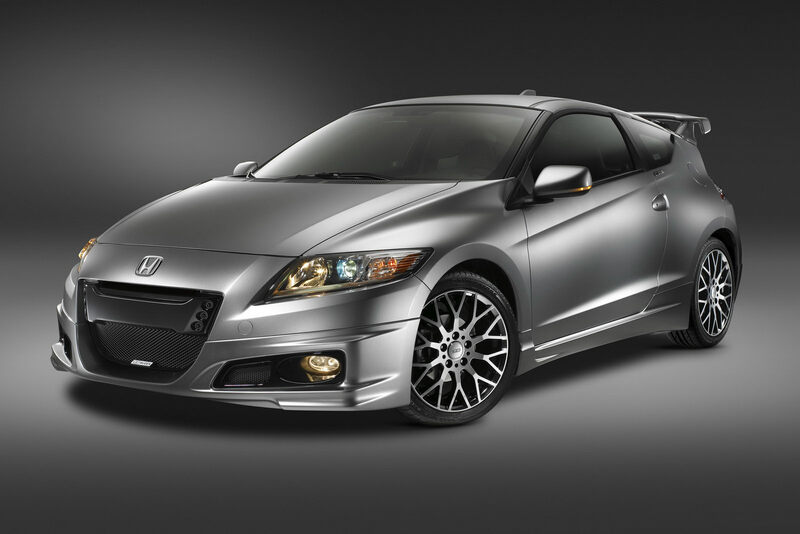 This means that the 2011 Honda CR-Z’s interior has sport mats, a unique black aluminum shift knob and the best of a limited edition accessories possible. The interior of a 2011 Honda CR-Z Mugen edition will come with a plaque to commemorate a unique serial-number and the distinction of your CR-Z.